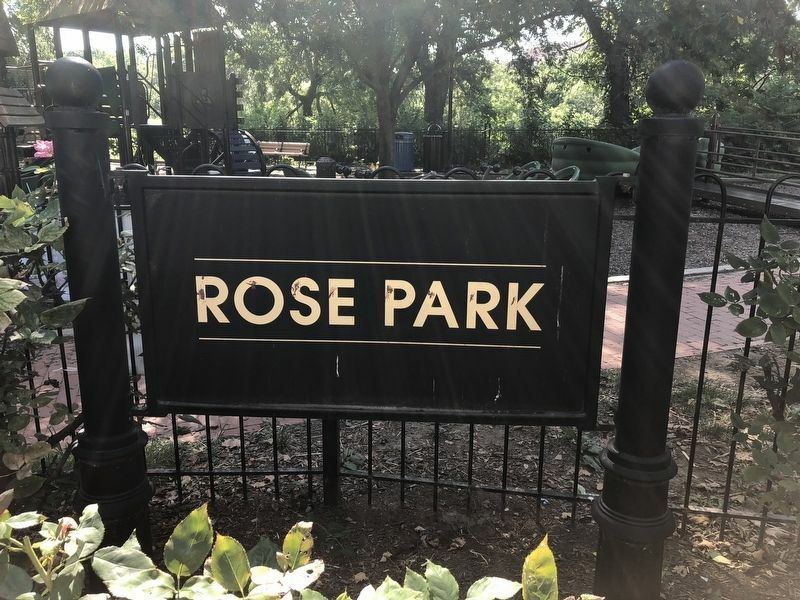 Rose Park Playground was established in 1918 by the Ancient Order of the Sons and Daughters of Moses to serve African American children. The city acquired it in 1922. Georgetown neighbors ignored the segregation rules at this "colored" facility, although city officials periodically tried to enforce them. 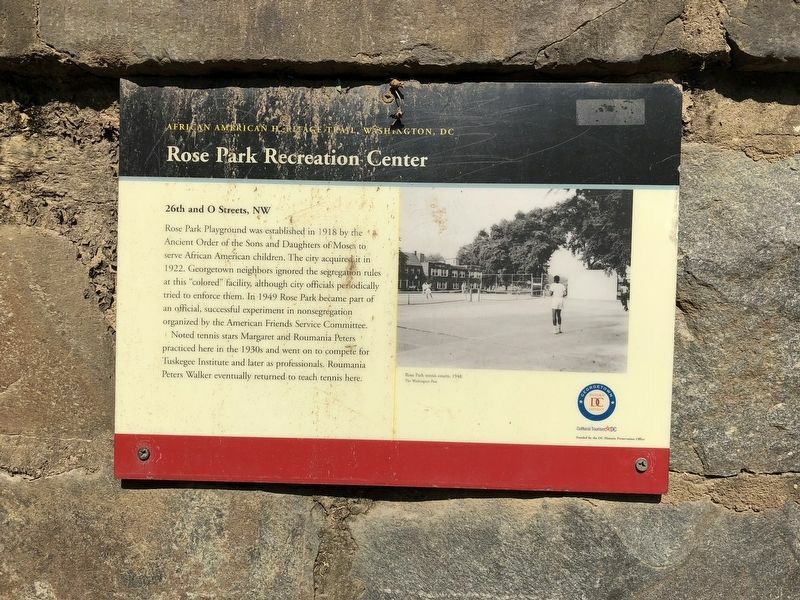 In 1949 Rose Park became part of an official, successful experimentation in nonsegregation organized by the American Friends Service Committee. Noted tennis stars Margaret and Roumania Peters practiced here in the 1930s and went on to compete for Tuskegee Institute and later as professionals. Roumania Peters Walker eventually returned to teach tennis here. Rose Park tennis courts, 1948.
reached from 27th Street Northwest south of O Street Northwest, on the right when traveling north. Touch for map. 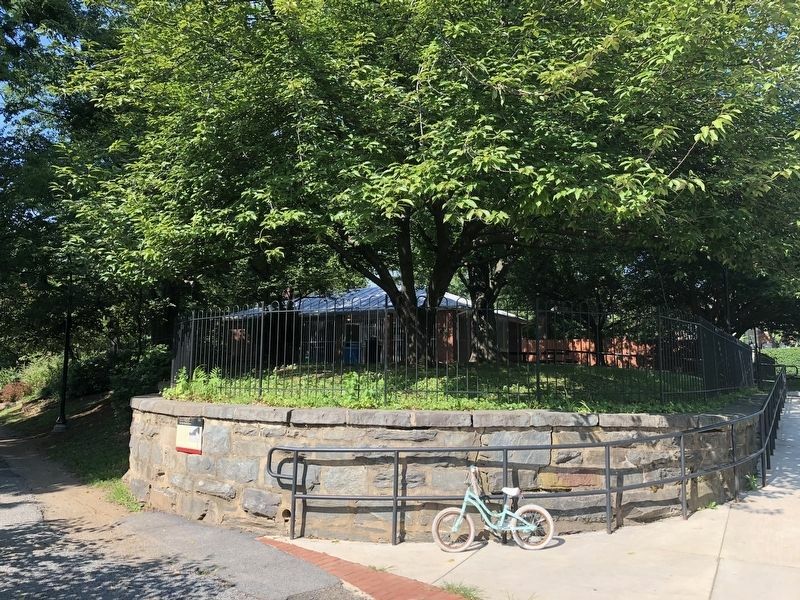 Marker is at or near this postal address: 2609 Dumbarton Street Northwest, Washington DC 20007, United States of America. Touch for directions. Other nearby markers. At least 8 other markers are within walking distance of this marker. Margaret Peters and Roumania Peters Walker (within shouting distance of this marker); First Baptist Church, Georgetown (about 300 feet away, measured in a direct line); Epiphany Catholic Church (about 500 feet away); Herring Hill (about 500 feet away); Before the 1800s (about 600 feet away); During the years following the Civil War (about 600 feet away); Georgetown Refuge (approx. 0.2 miles away); Dumbarton House (approx. 0.2 miles away). Touch for a list and map of all markers in Georgetown. More. Search the internet for Rose Park Recreation Center. Credits. This page was last revised on March 22, 2019. This page originally submitted on July 20, 2018, by Devry Becker Jones of Washington, District of Columbia. This page has been viewed 41 times since then and 8 times this year. Photos: 1, 2, 3. submitted on July 20, 2018, by Devry Becker Jones of Washington, District of Columbia. • Andrew Ruppenstein was the editor who published this page.